Click on the images to visit etsy.com for items like those pictured. What’s on your bookish Christmas list this year? During November’s NaBloPoMo, I shared eight books that were on my To Be Read list. Amazingly, I’ve read five of the books since then, so I wanted to do a quick update on them. What books have you recently crossed off your TBR list? The great thing about having reading as a hobby is that you’ll never run out of books! There are always more books to be read, authors to discover, and characters to connect with. And even as you grow and change, your hobby can grow and change with you. There are different genres to explore and challenges to take on. That means my TBR (to be read) list is always growing and changing too. I keep track of what I want to read next by adding titles to my Goodreads To-Read list, and also my wish list and holds list on OverDrive. Scrappy Little Nobody by Anna Kendrick – I love Anna Kendrick in movies, on talk shows, and the internet, so I can’t wait to see what quips she comes up with for a book! We’ll Always Have Summer by Jenny Han – I have to see who Belly ends up with. Will it be the fun, loving, quick-to-smile Jeremiah, or his older brother, the mysterious and brooding Conrad? Afterworlds by Scott Westerfeld – I bought the hardcover version of this book years ago and haven’t had time to sit down and enjoy it yet. I’m looking forward to seeing how Westerfeld weaves the story of a young writer who is just about to be published along with the actual novel that is being written. The Dollhouse by Fiona Davis – First, the cover is beautiful. Second, it sounds like there will be a really interesting setting to this story: NYC’s Barbizon Hotel for Women. Brave New World by Aldous Huxley – I enjoy science fiction, and this feels like a classic that I’ve been missing out on. The Catcher in the Rye by J.D. Salinger – This is another classic that has somehow escaped me. As an English major, can you believe that it was never on one of my required reading lists? Shadow and Bone, Book 1 of The Grisha Trilogy by Leigh Bardugo – Many book bloggers seem to love this series, so I’m interested to see if it will be one of my favorites, too. Always and Forever, Lara Jean by Jenny Han – I’ll have to wait until April 2017 to read this one, but I’m really looking forward to it. This is the third book in Lara Jean Song’s story, and originally Han had said that there were only going to be two books, as “It organically feels like two books to me–two halves of a heart.” But I guess she (or her readers or editors?) changed her mind about that! I felt that the second book ended things nicely…but I’m also eager to read more of the story! You can read more about my thoughts to the first book in the series, To All the Boys I’ve Loved Before here. What books are you looking forward to reading soon? How do you keep track of your TBR list? 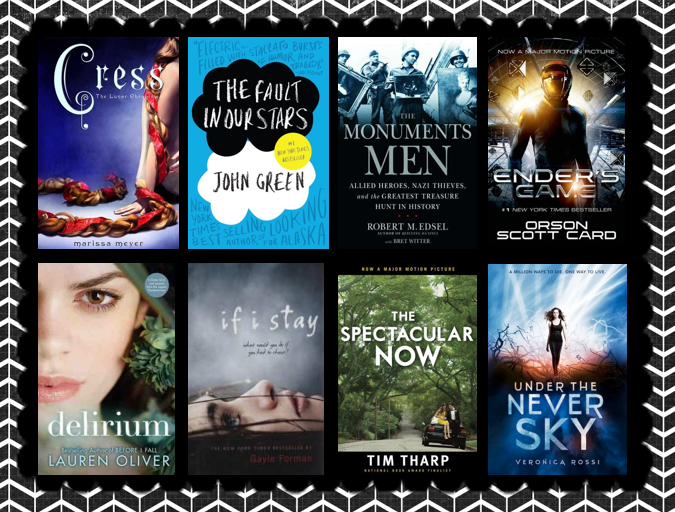 Entry #20 – Wish list: What books are on your current wish list to read next? What books are on your reading wish list?